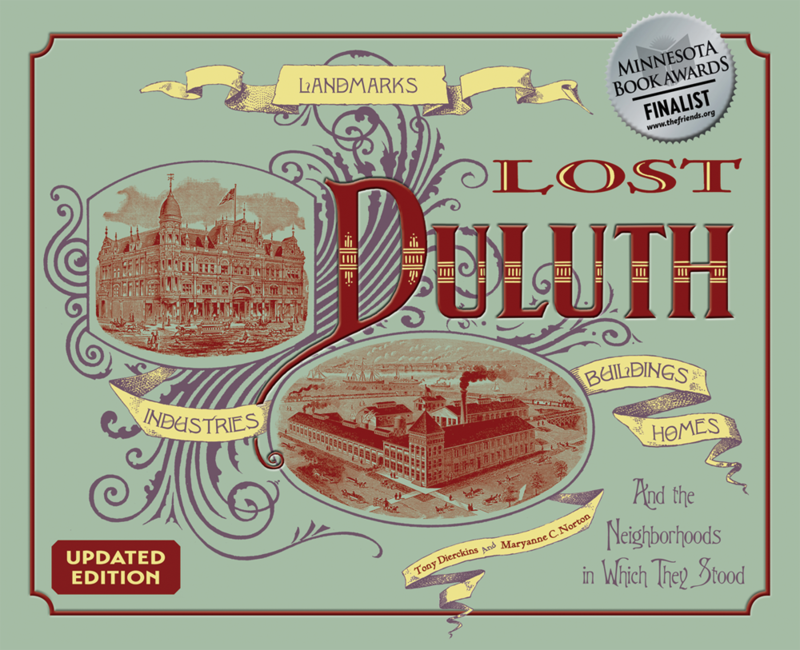 Discover what Duluth has lost. Through over 400 photographs and sketches of vanished homes, buildings, landmarks, industries, and residential neighborhoods, authors Tony Dierckins and Maryanne Norton take readers on a journey through the city’s past, introducing them to the people—from hard-scrabble pioneers to wealthy industrialists to impoverished immigrant laborers—whose ambitions and dreams built the Zenith City on a swamp and a rocky hillside at the head of the Great Lakes. "Some of the magnificent structures in Lost Duluth will take your breath away and make you wish they were still around, others will fascinate you with their history. This book is an absolutely mesmerizing look into this city’s past. Don’t miss it."